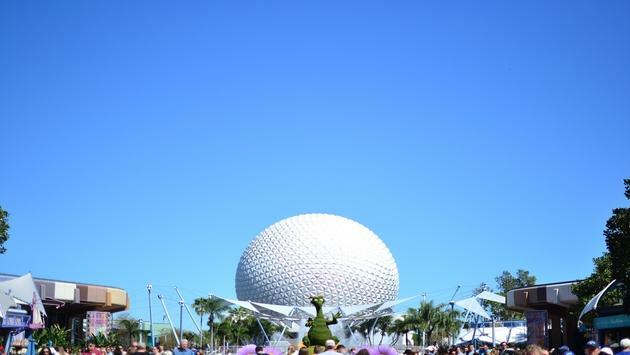 The Figment topiary in front of Spaceship Earth makes a great photo opportunity. Come celebrate the 25th anniversary of the International Flower and Garden Festival! This annual event held at Epcot Centre is a 90-day celebration of springtime featuring topiaries, flowers, fresh fruit and flavorful dishes. If you like the International Food and Wine Festival, this is definitely worth a look! All pictures by Emily Krause.